Priority is currently being given to skilled visa applicants who can be sponsored by an Australian employer. Overseas employees are required to be paid the same rates and offered the same working conditions as Australian employees. Australian employers seeking to sponsor overseas skilled workers – whether on a permanent or temporary basis – have obligations to act responsibly and comply with their obligations when hiring overseas workers: there are high penalties for non-compliance. The Department of Immigration and Border Protection (DIBP) conducts regular site audits to ensure that employers meet their obligations. By outsourcing your migration work to a Registered Migration Agent you have the advantage of expert advice and knowledge when working your way through complicated visa requirements. If you want to avoid running into problems with your overseas employees’ status in Australia, it is best to use an agent to keep you informed of the ever-changing requirements. By using Freeman Migration Services you are not tying your staff up and giving them the daunting task of working their way through complicated migration regulations and paperwork. They can get on with what they are meant to be doing – helping you run your business. Hiring overseas workers can be difficult, but it has its rewards and there are many Australian businesses in a much more competitive situation because they have filled their skills gaps with skilled personnel from outside Australia. Overseas workers are no different to Australian workers – everyone wants security and a happy family life. We can help answer their questions about permanent residence and Australian Citizenship as they settle in to their new country, and help you in turn maintain a productive workforce. The requirements for employer sponsorship are complex. We work with many employers and can provide assistance with the employer nomination process to ensure that you can get through the sponsorship process with a minimum of delay. 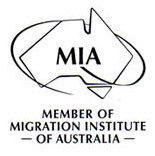 Copyright © 2019 Freeman Migration Services Australia. All Rights Reserved.